If so, a Prayer Bench yearly subscription might work well for you. There are three packages in 2019. Click here to read more, including description of resources. 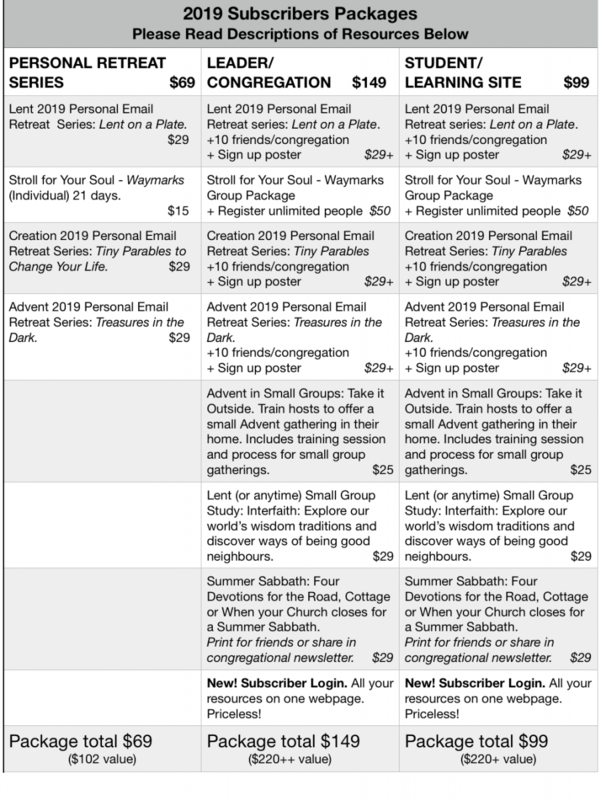 Access to a Subscriber webpage in Leader/Congregation package. Access to your resources in one place. Downloadable posters and bulletin notices for each retreat and easier process for signing up your folk. Take it Outside Advent Resource. Think of the creative locations where community can host an Advent gathering. Summer Sabbath. Copy, personalize for your group/community of faith and enrich those who are away in the summer. 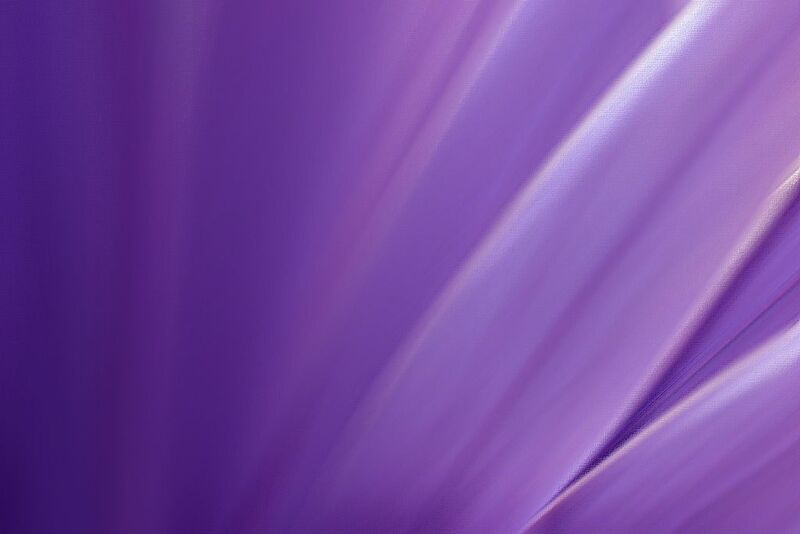 Stroll for Your Soul (Individual) is included in the Personal Retreat Series Package. Compare Packages & Learn More! Read more information about the three packages and compare them. Find the one that is right for you. See what is included in the PERSONAL Email Retreat Package. See what gets added on in the LEADER/CONGREGATION Package. See what else is included in the STUDENT/LEARNING Package. 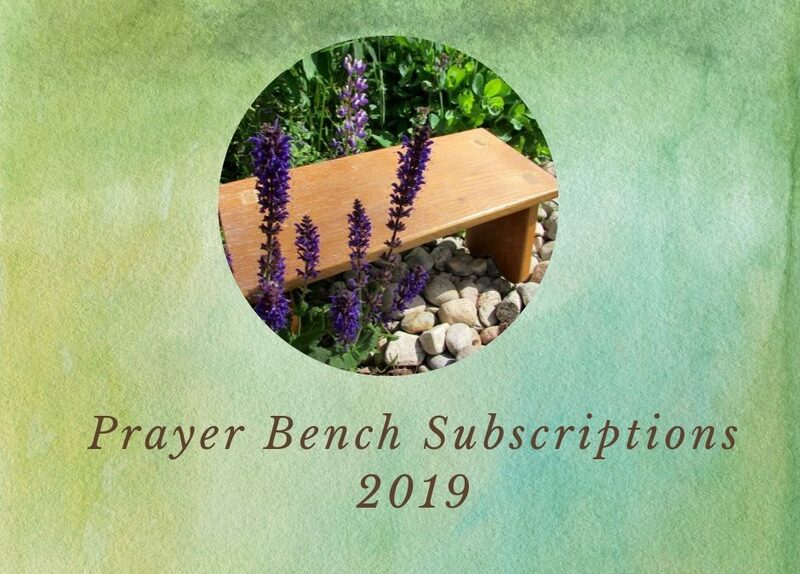 The Prayer Bench Subscriber packages are available for sale until January 31, 2019. After this, resources are available for full price. “Our congregation has been without a minister for almost a year now. However, it has been a good experience of pulling together. Everyone has stepped up to help in so many ways – some in worship leadership, some in reading/leading a service someone else has prepared, some reading scripture/prayers, visiting and leading worship at the nursing home … Many of us have been grateful for this time, for the deepening of our community. “We are not alone when we subscribe to Prayer Bench. 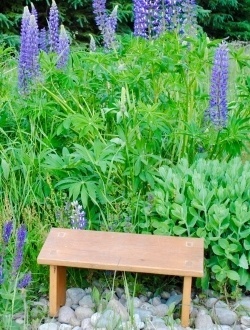 Prayer Bench is like balm for the spirit. We find the topics (in the Small Group Studies) relevant and encouraging. I especially like the audio part. The group is interested to hear another perspective. The audio leads to good discussion. Your questions help the participants to go deeper.